The United Kingdom will deploy its only supercarrier -- the HMS Queen Elizabeth (R08), her attached air wing with its Lockheed Martin F-35B stealth jets and her carrier strike group -- to patrol the disputed South China Sea alongside the U.S. Navy in 2020. The stunning announcement confirms a promise first made by the UK in December 2016 that the Royal Navy will commence its own “Freedom of Navigation Operations” (FONOPs) in the South China Sea. The 65,000 metric ton HMS Queen Elizabeth is expected to be fully operational by 2020. Her carrier air wing consists of up to 40 aircrafts, including a squadron of F-35B stealth jets that can take-off and land vertically. The patrols, which will definitely infuriate China, will reinforce the right of all countries to freedom of navigation in this disputed sea. The Royal Navy said jet fighters from the Queen Elizabeth will patrol the skies over the South China Sea. It also expressed concerns about restrictions to freedom of navigation in the area as a result of China’s string of seven man-made islands, many of which have become military bases with facilities for jet fighters, surface-to-air missiles, anti-ship missiles, radar installations and warships. 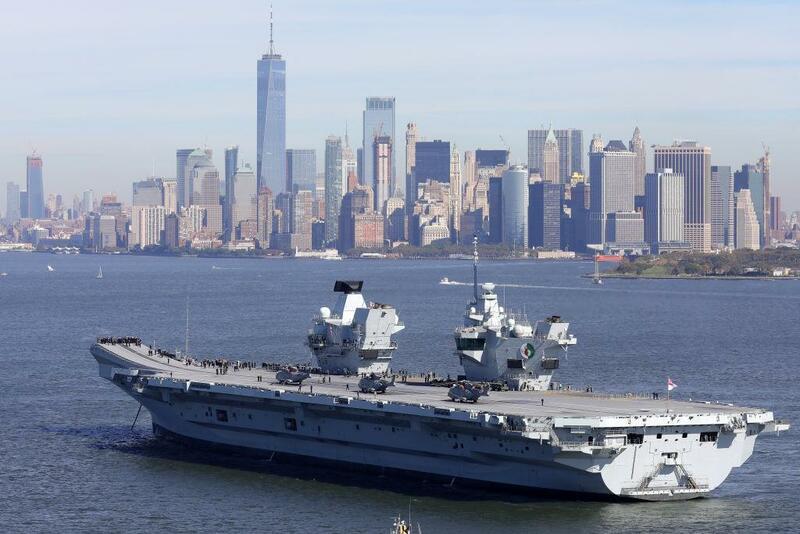 British Secretary of State for Defense Gavin Williamson on Monday confirmed the HMS Queen Elizabeth will sail into the South China Sea. He noted the UK is the second largest investor in the region and it must display "hard power" and "lethality" to help protect its interests. "Significantly British and American F-35s will be embedded in the carrier's air wing. Enhancing the reach and lethality of our forces (and) reinforcing the fact that United States remains the very closest of partners," said Williamson. China illegally claims almost all of the strategic South China Sea, which is important for shipping lanes and potential resources such as crude oil. In March 2018, Williamson said the UK supports the U.S. position in regards to the South China Sea. The patrols, which will infuriate China, are meant to reinforce the right of nations to freedom of navigation in this disputed maritime area. The Royal Navy said jet fighters from the Queen Elizabeth will fly over the South China Sea. It also expressed concerns about restrictions to freedom of navigation in the South China Sea as a result of China’s string of seven man-made islands, many of which have become military bases with facilities for jet fighters, surface-to-air missiles, anti-ship missiles, radar installations and warships.